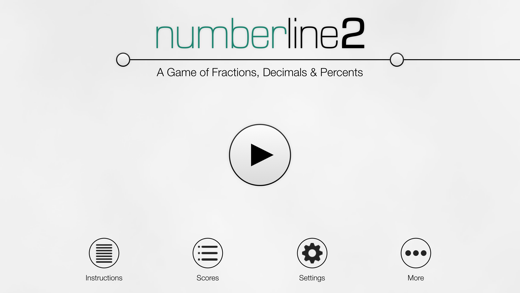 NumberLine2 is the new version of the award-winning Number Line app to help students learn about fractions, decimals, and percents. 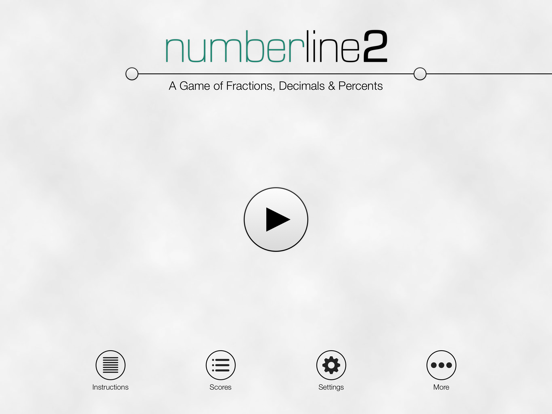 NumberLine2 is an educational game app to help students learn about fractions, decimals, and percents by ordering equivalent fractions, decimals, and percents on a number line. The app features multiple levels of increasing difficulty where the player must drag circles with either a percent, decimal or fraction onto a number line in the correct sequence. To advance to the next level, players must correctly place all the circles on the number line before time runs out. Players can also choose to play in fractions and decimals mode or only fractions mode. Points are earned for each correct placement, minus points for each error. Players can compare their high-scores with their friends and other players around the world on Game Center.